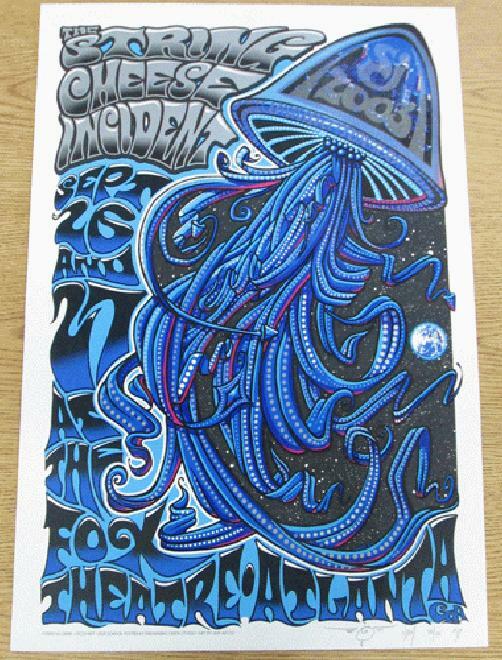 Original silkscreen concert poster for The String Cheese Incident at The Fox Theatre in Atlanta in 2003. 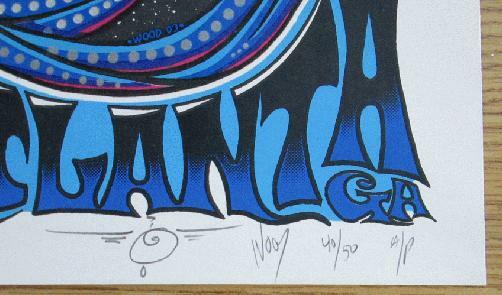 Signed and numbered AP edition numbered 40 of only 50 by the artist Jeff Wood. Artist Proof edition.